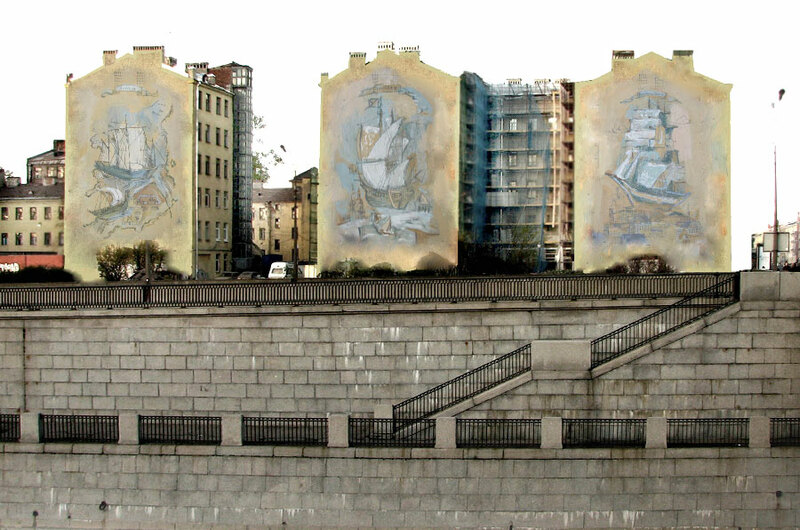 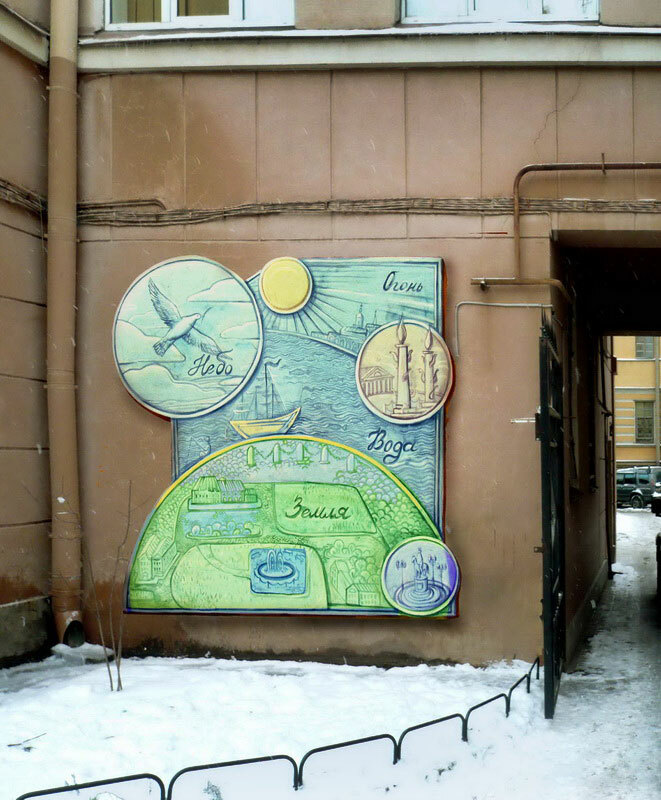 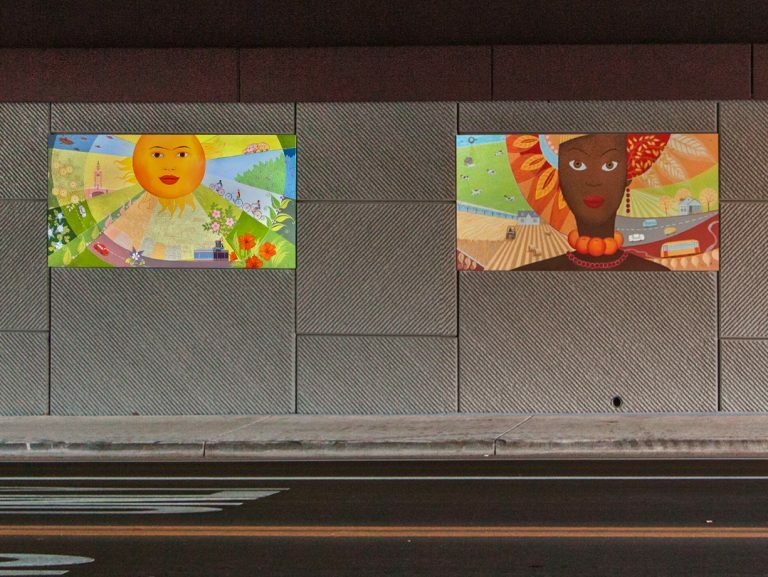 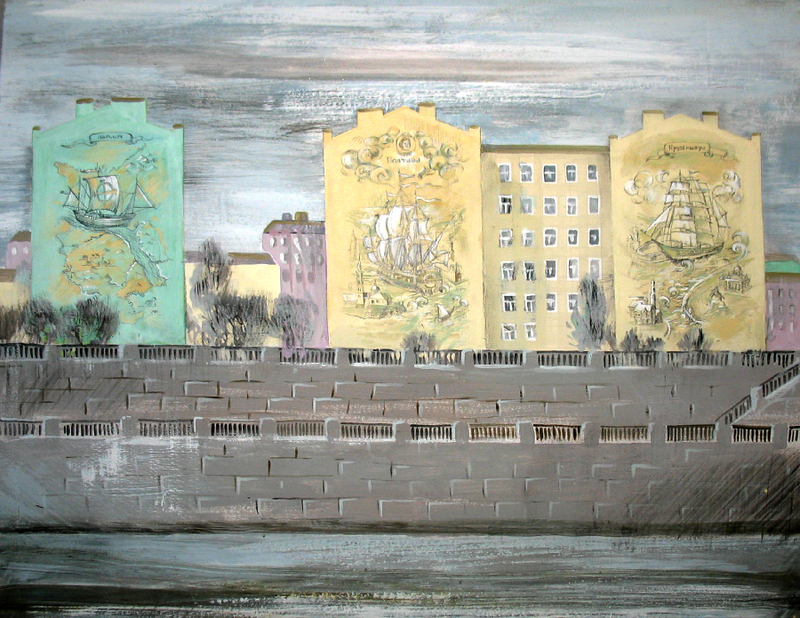 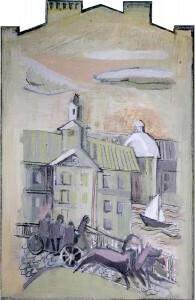 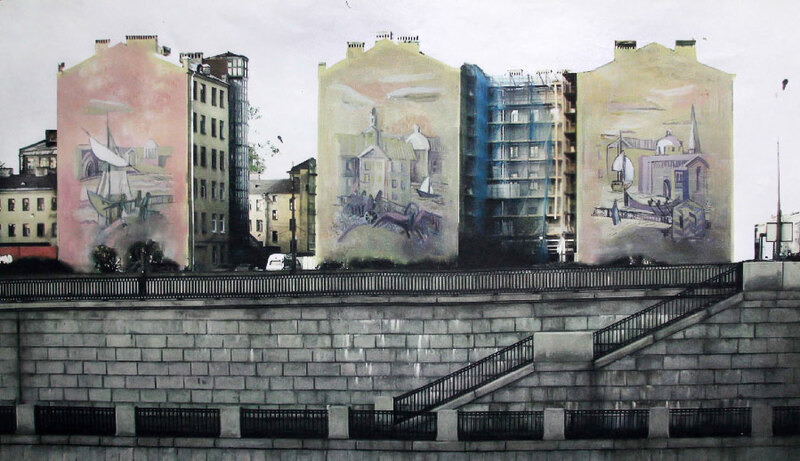 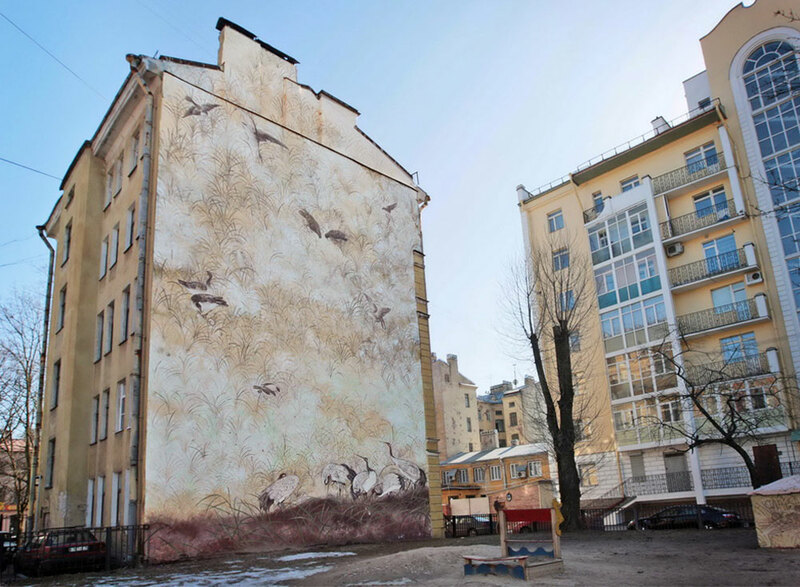 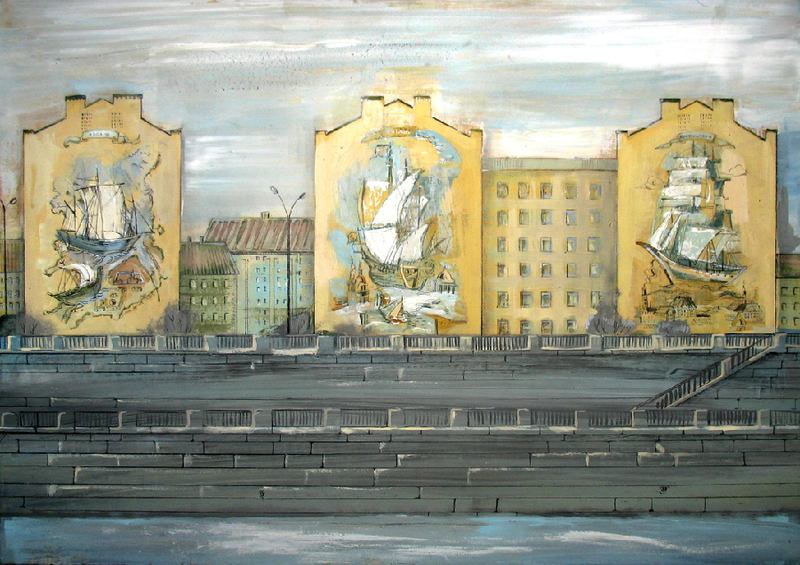 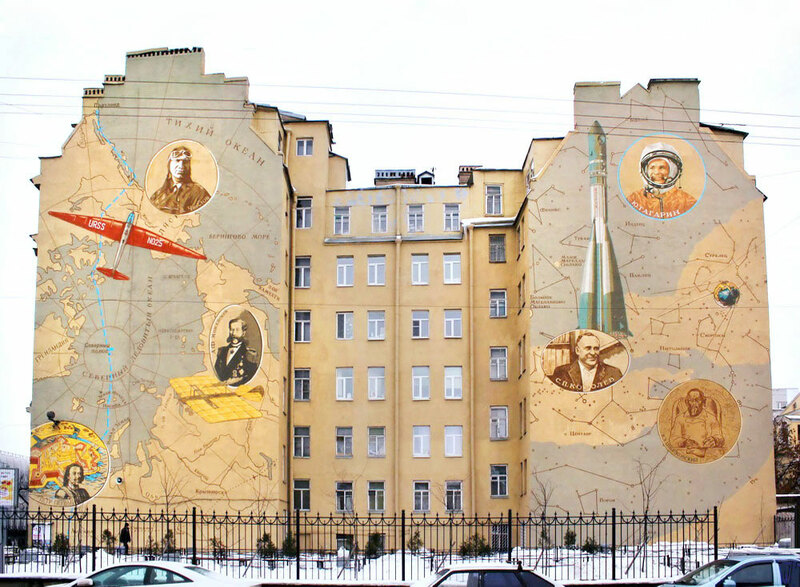 * Mural Project for facades of three buildings located at the “entrance” to the historical part of Saint Petersburg. 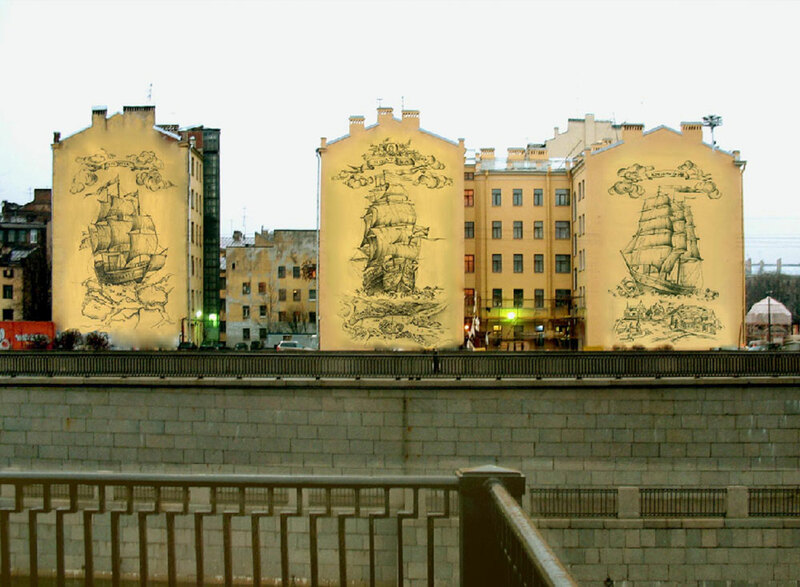 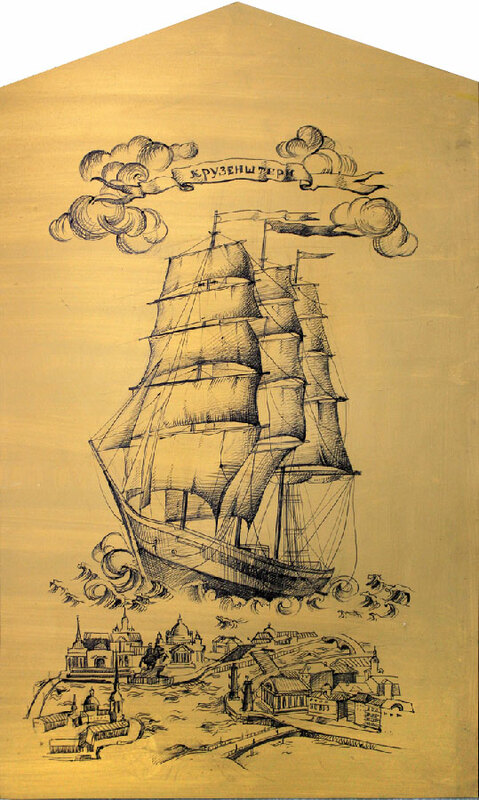 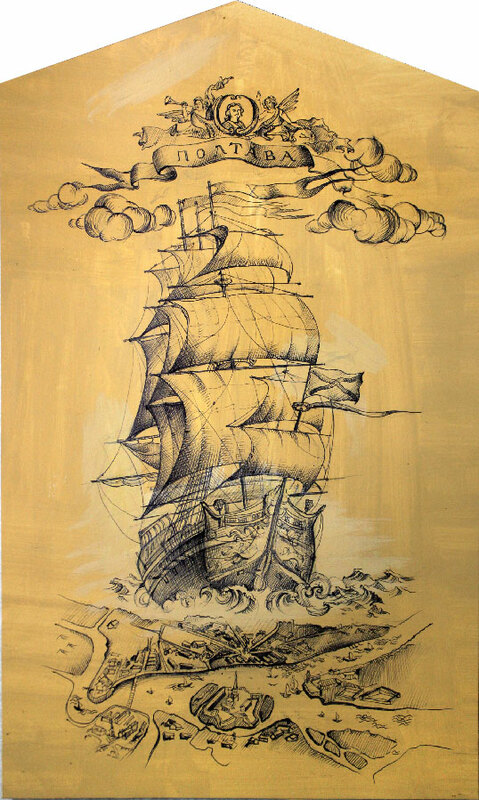 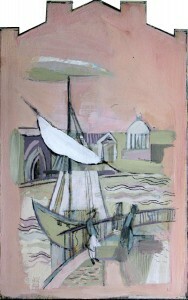 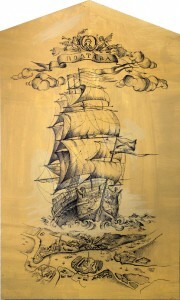 Three drawings of three ships that played an important role in the history of St.Petersburg. 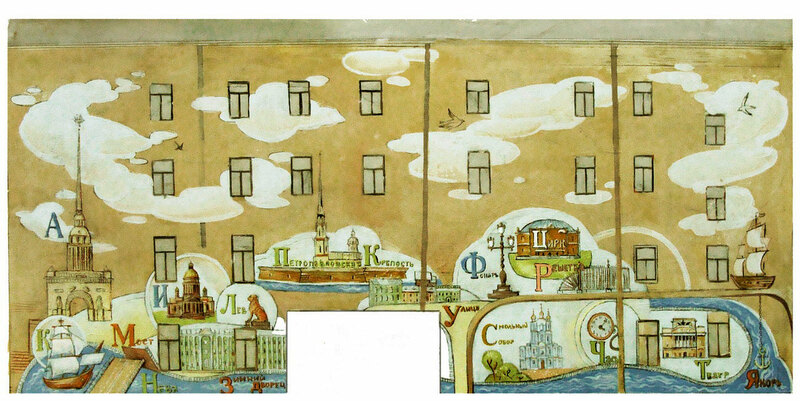 * Sketches for the mural with reliefs “City-Alphabet” for children from kindergarten for children with speaking disabilieties in St.Petersburg, Russia. 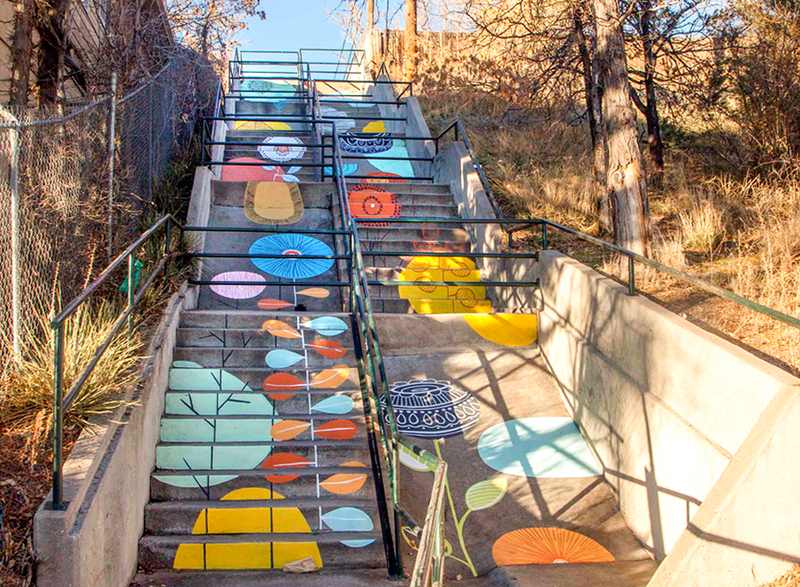 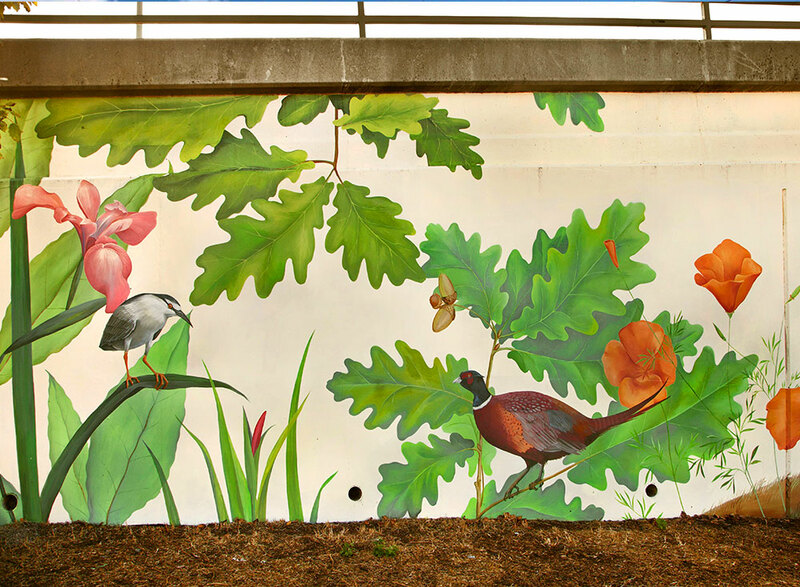 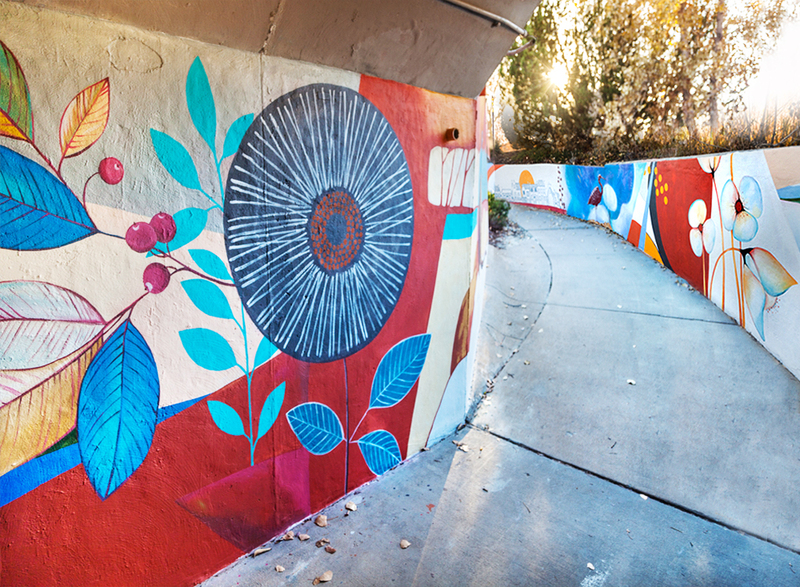 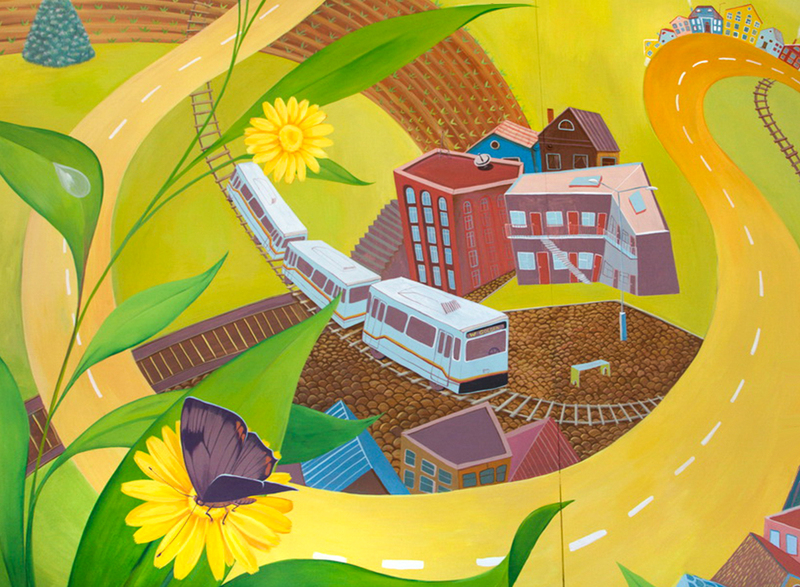 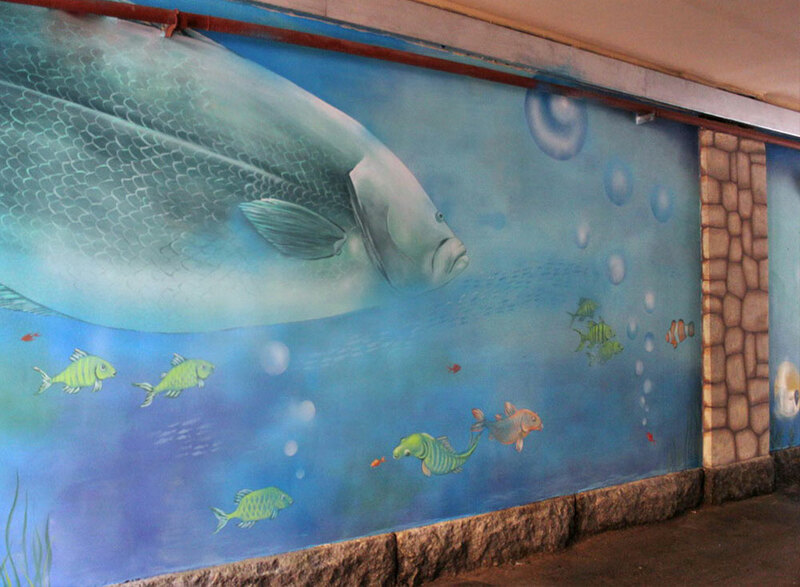 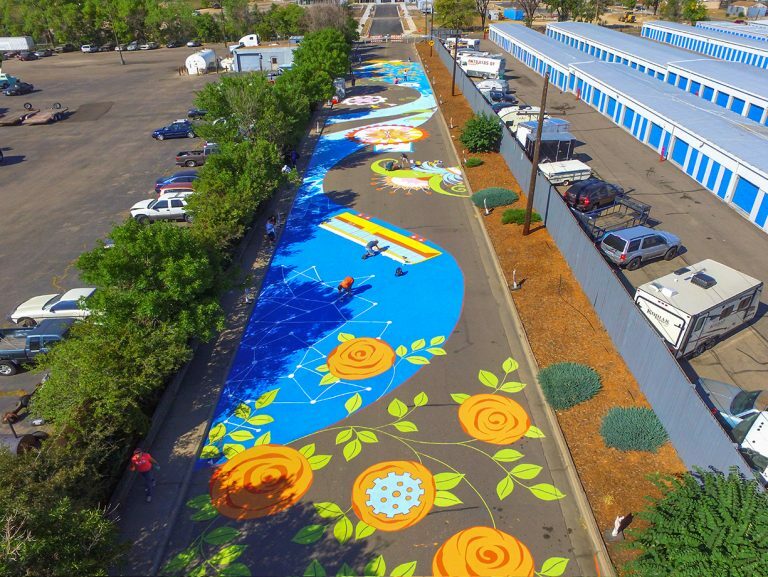 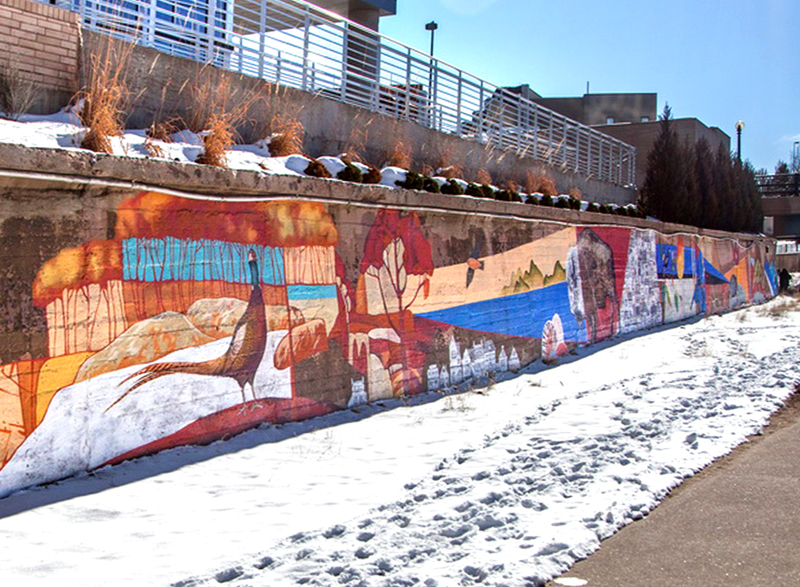 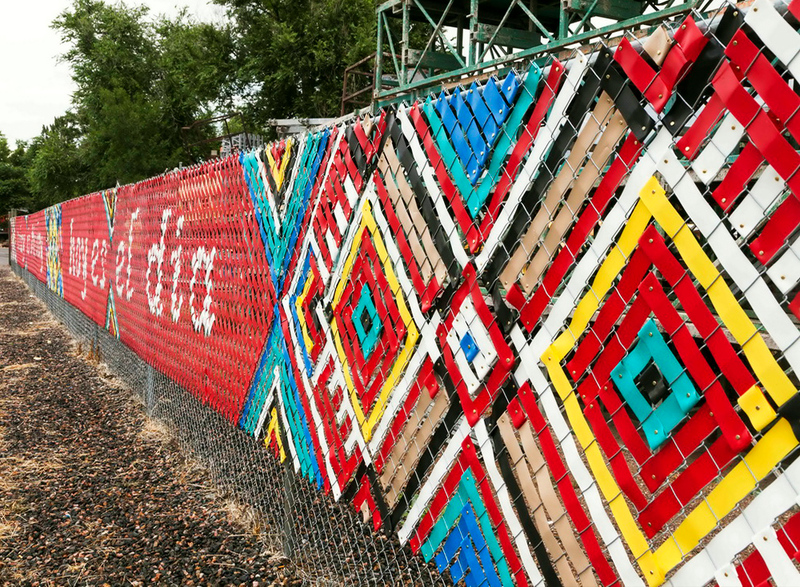 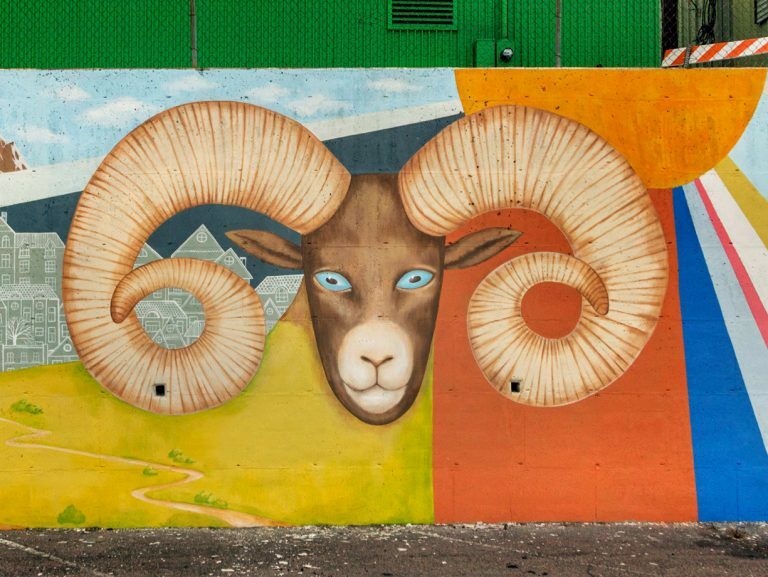 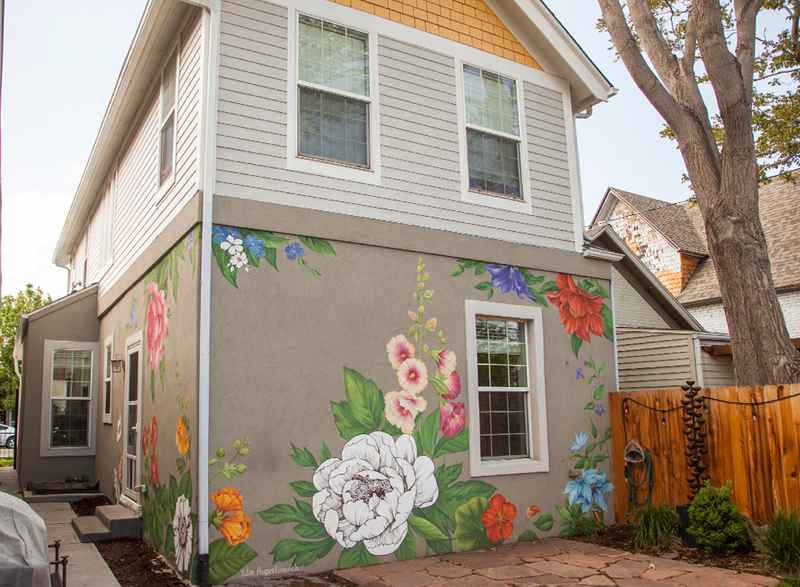 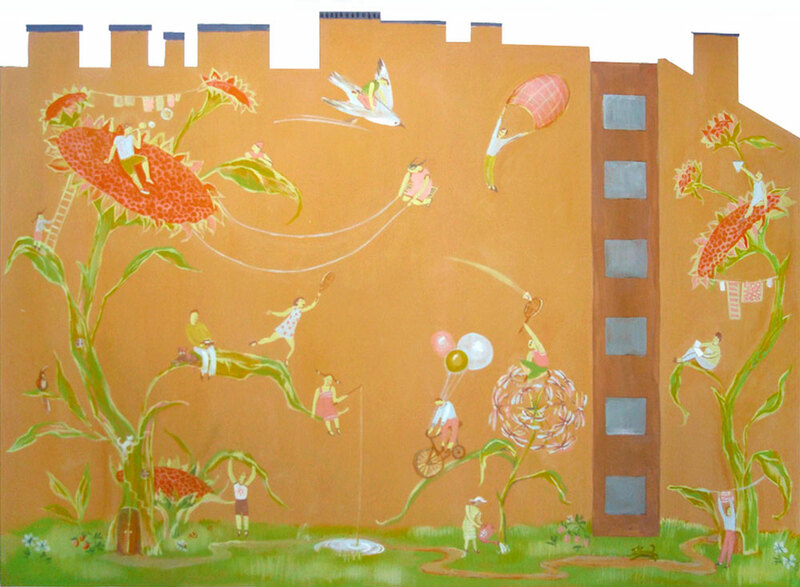 In playful manner mural should teach children the alphabet and learning the attraction of the city. 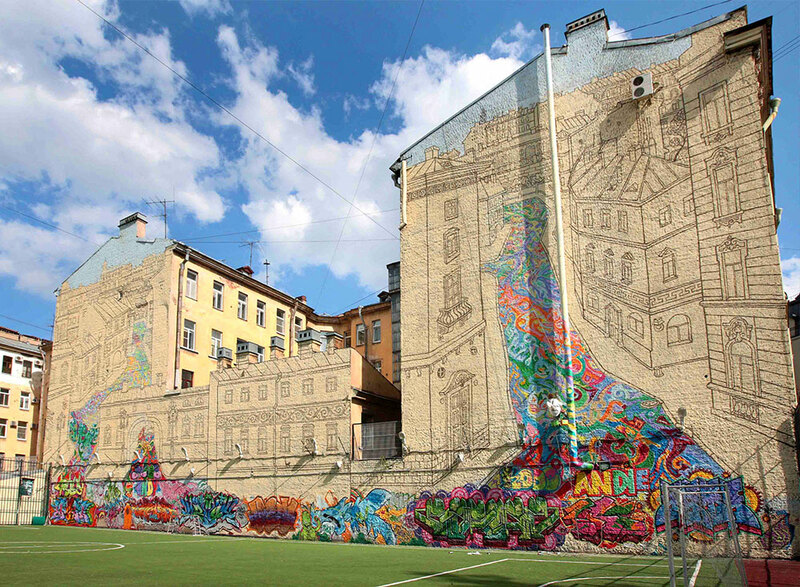 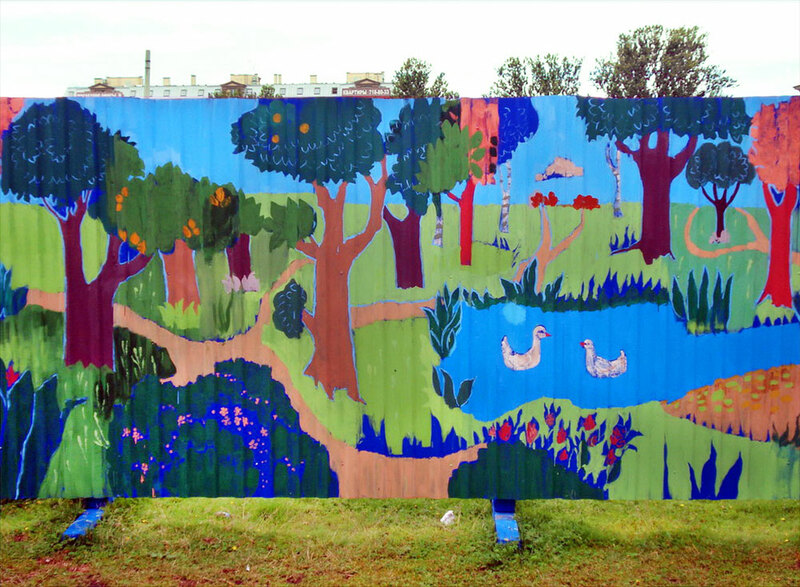 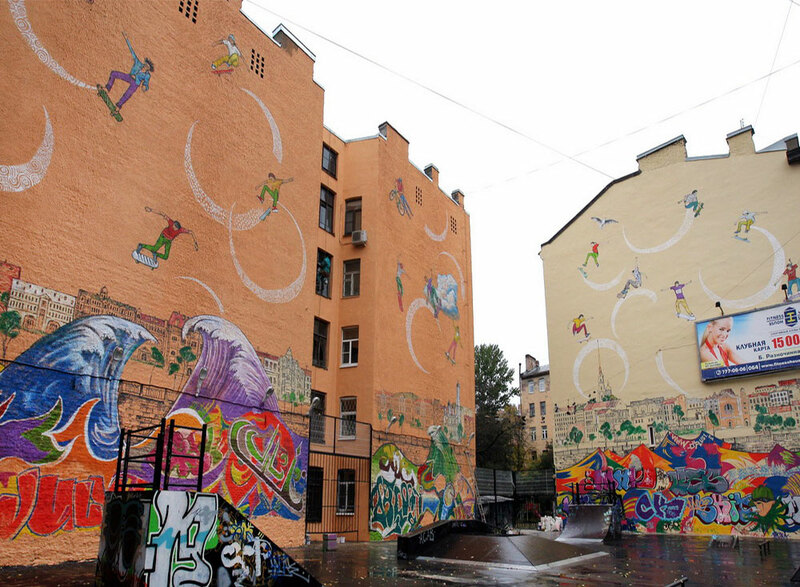 * Sketches for the mural in a kindergarten playground in St. Petersburg, Russia. 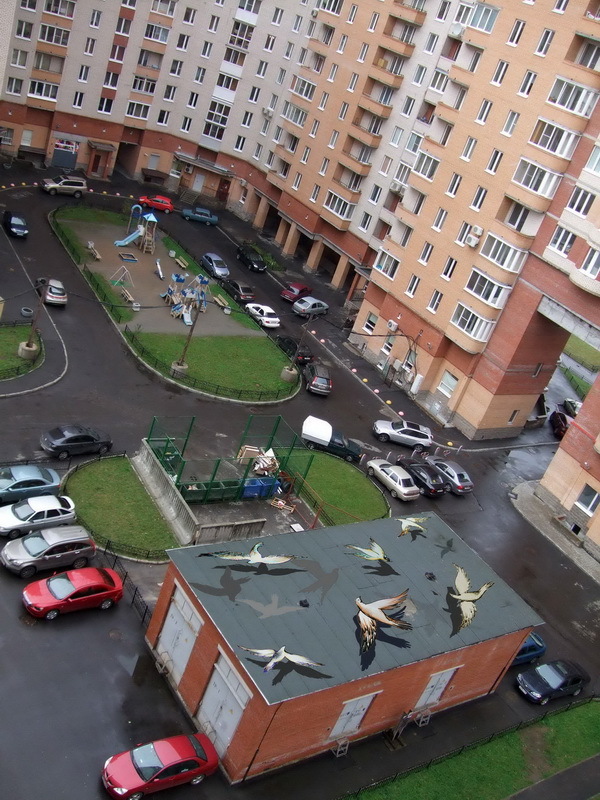 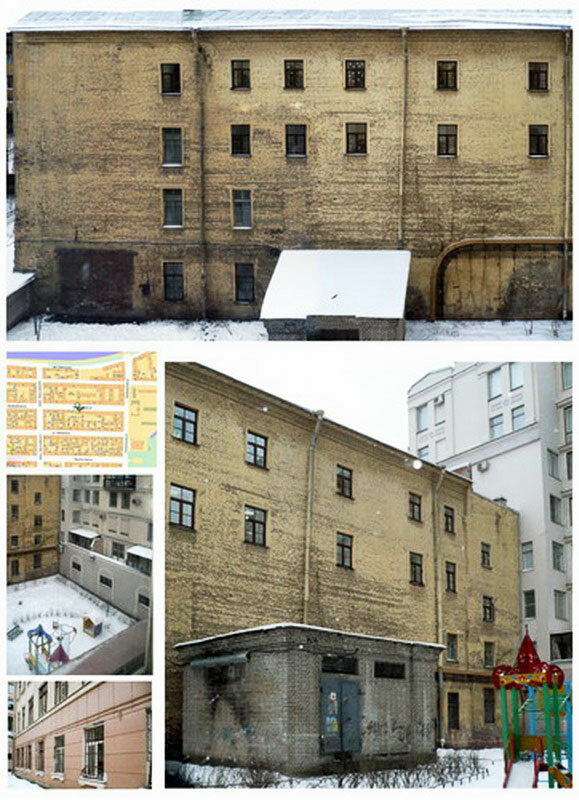 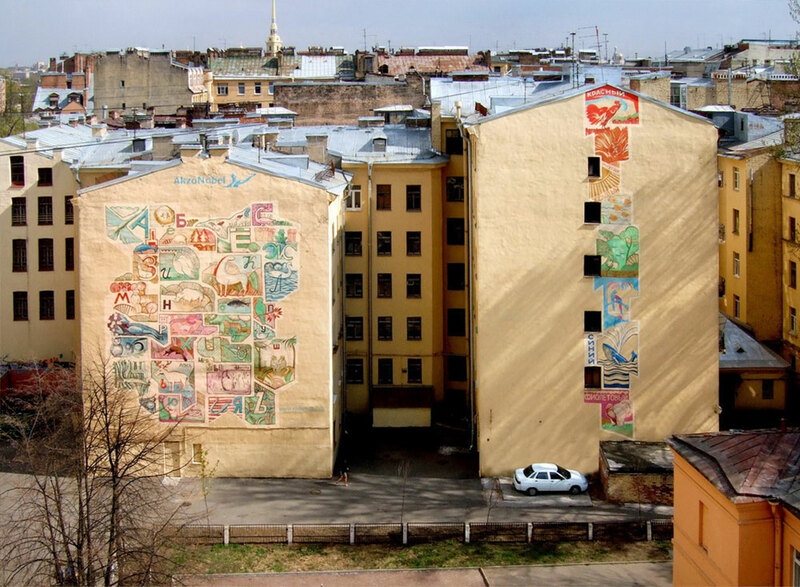 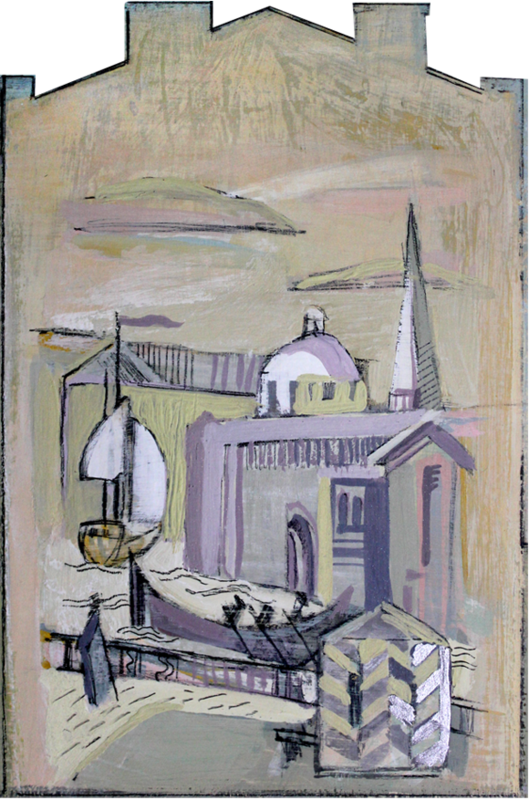 * Project for the mural on the roof of maintenance building in the middle of the yard with tall apartment buildings in St. Petersburg, Russia. 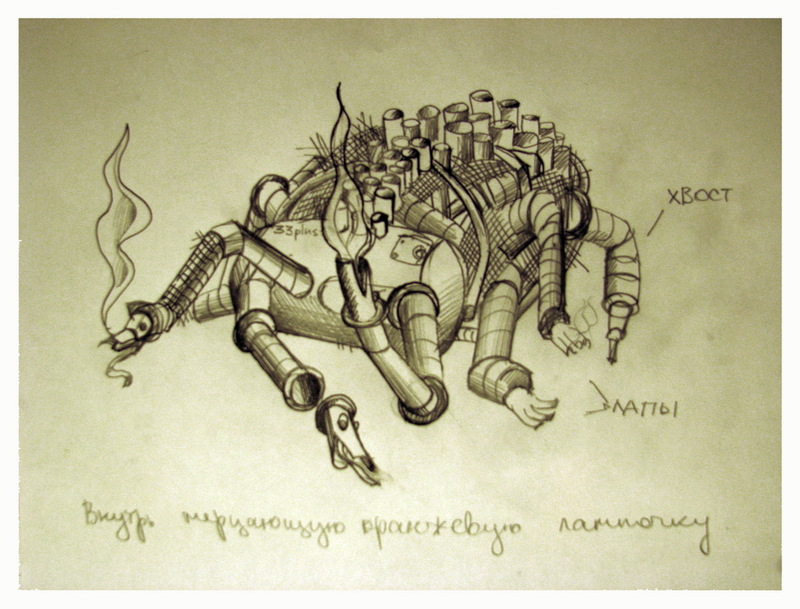 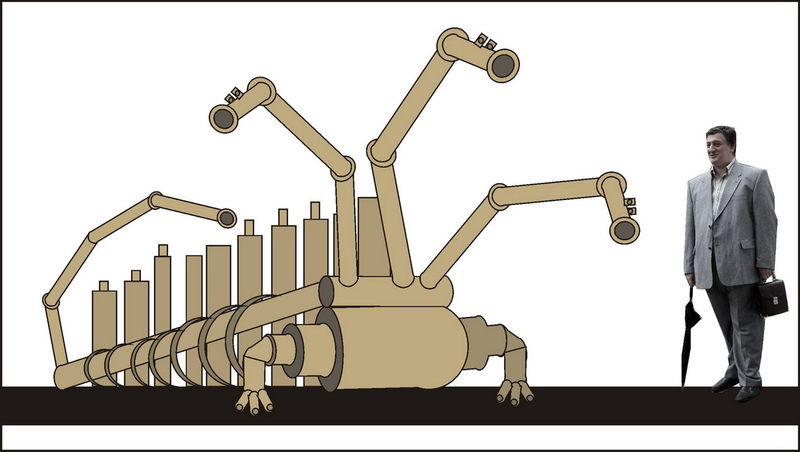 * Project of a sculpture made from old gas pipes for the gas company “GasProm” in St. Petersburg, Russia. 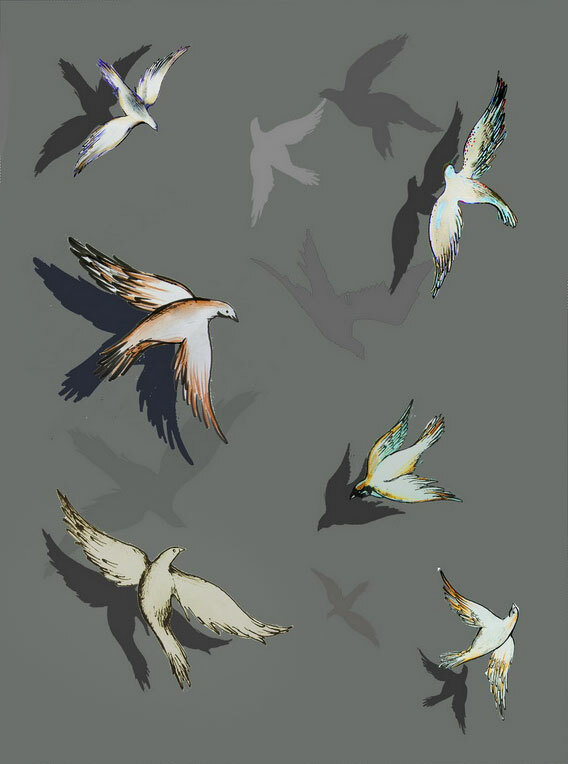 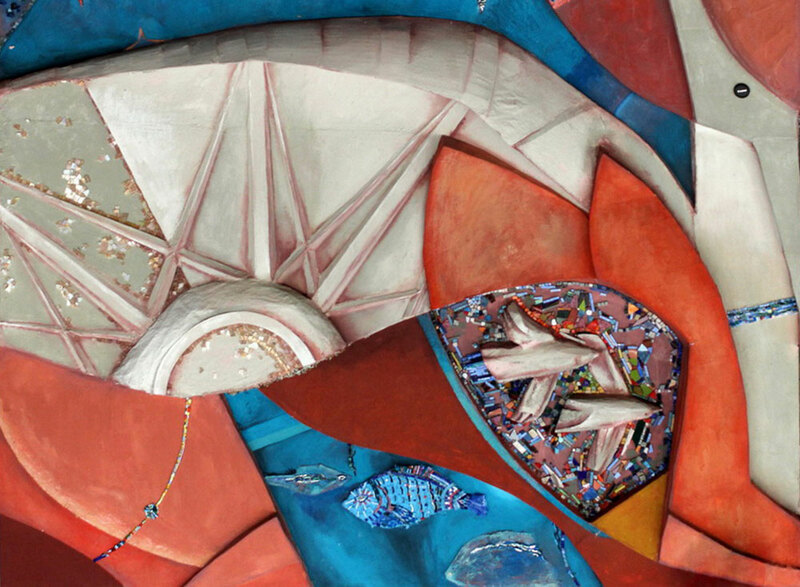 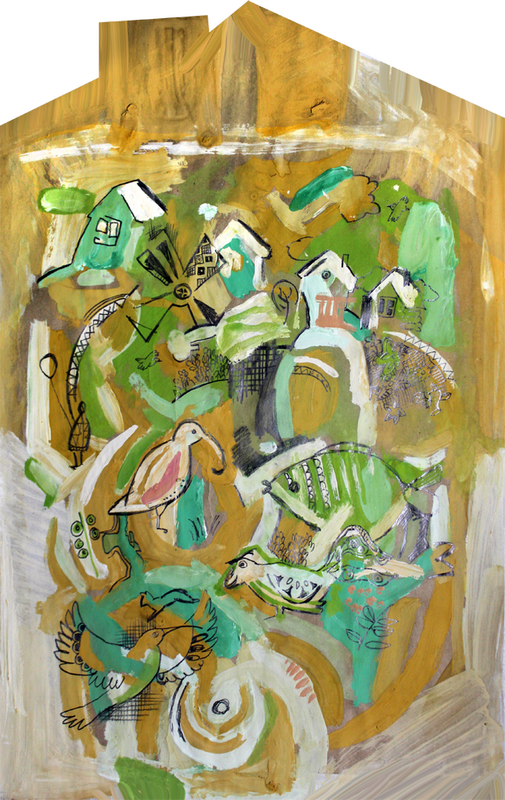 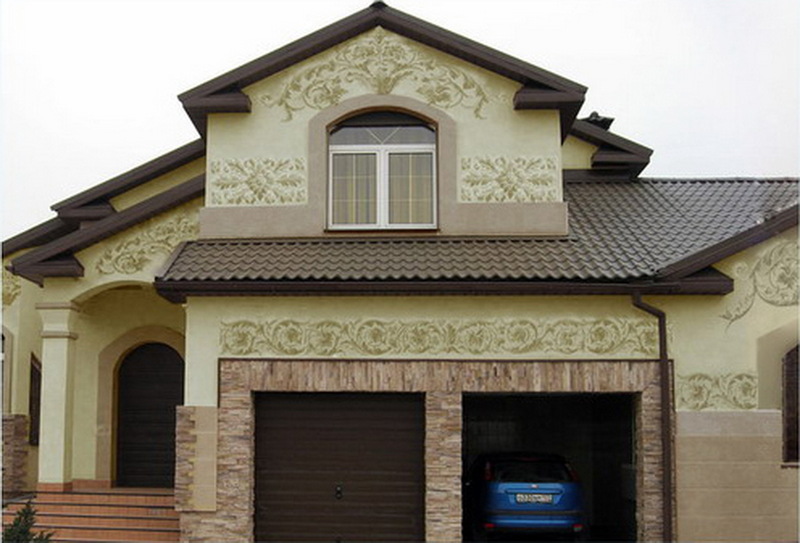 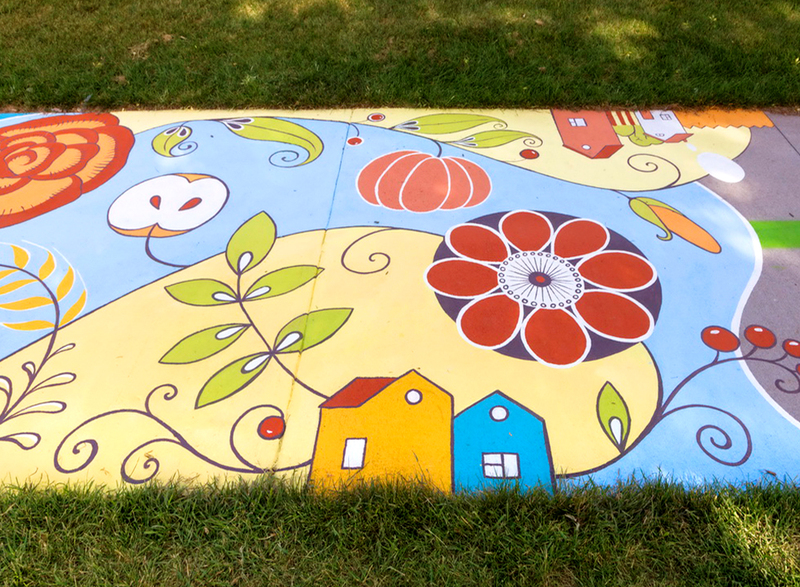 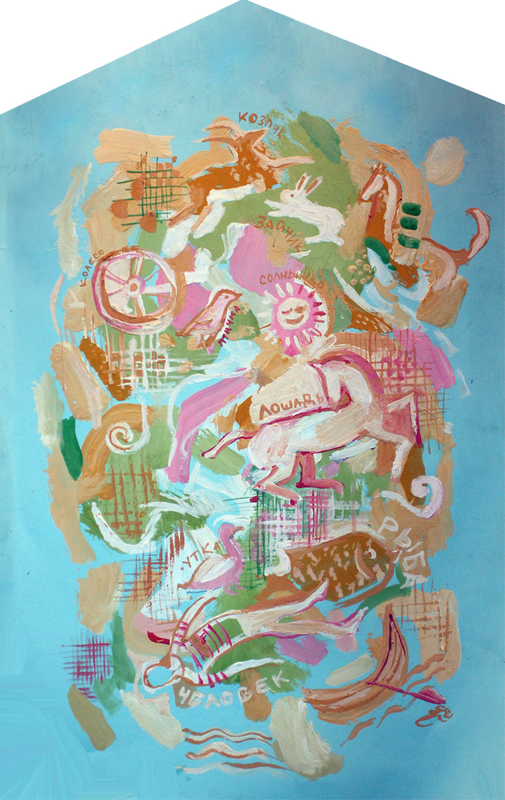 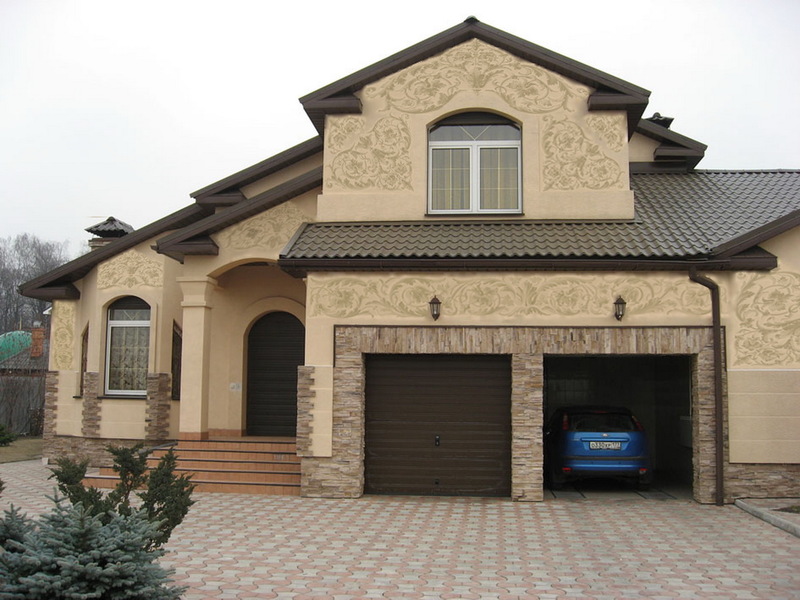 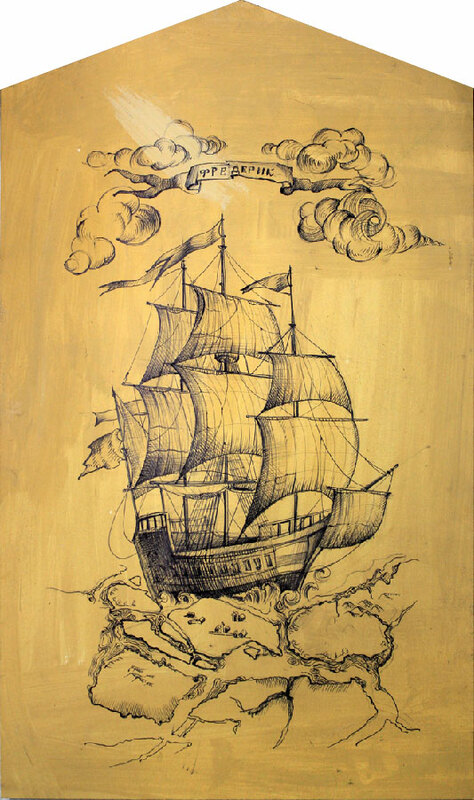 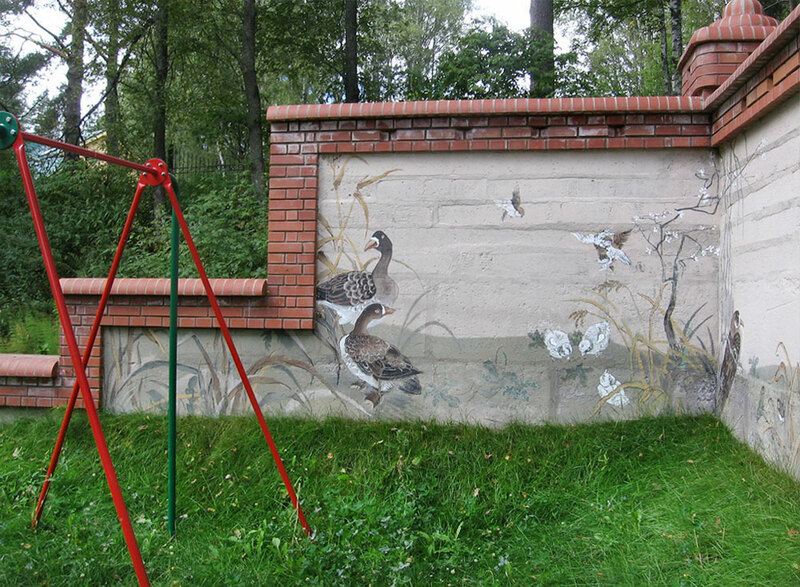 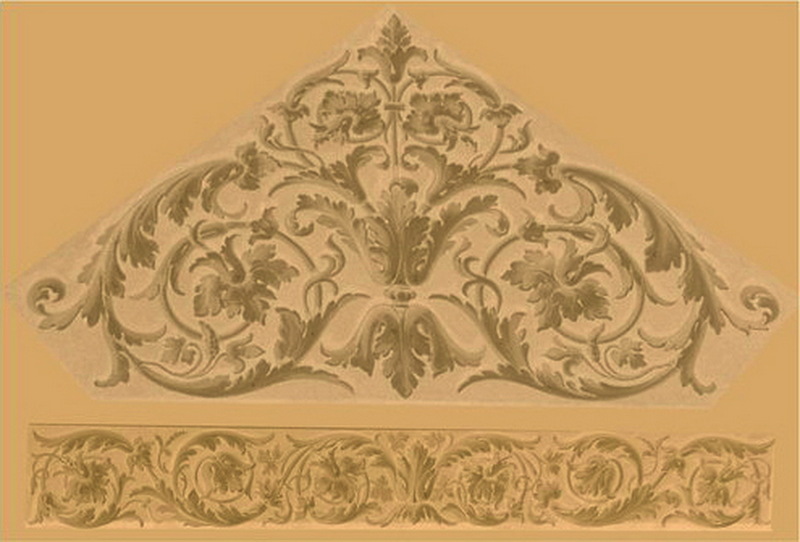 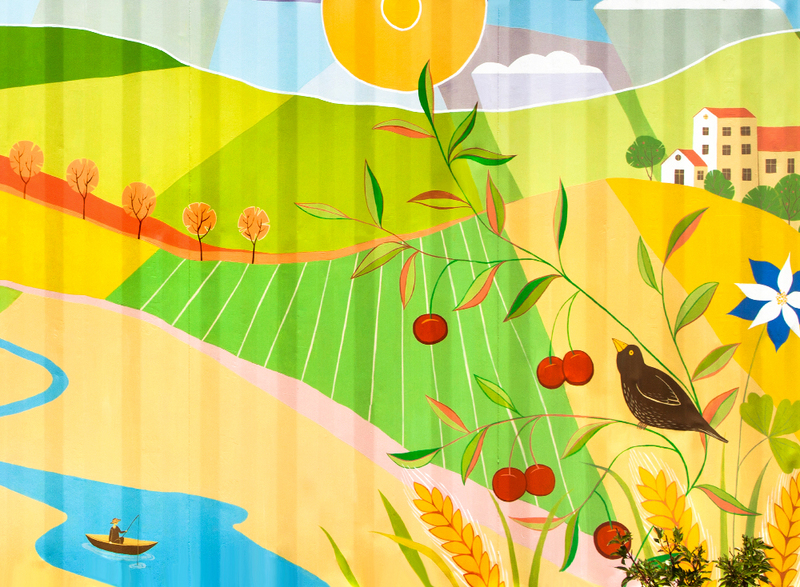 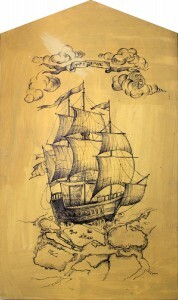 * Project of the decorative mural for the private cottage near Moscow, Russia.